One of the most awesome things about the Pacific Northwest is FREE blackberries. Almost everywhere you look, blackberry bushes have taken over empty lots, sides of roads, all along bike paths. Everywhere. It’s a city foragers dream come true. 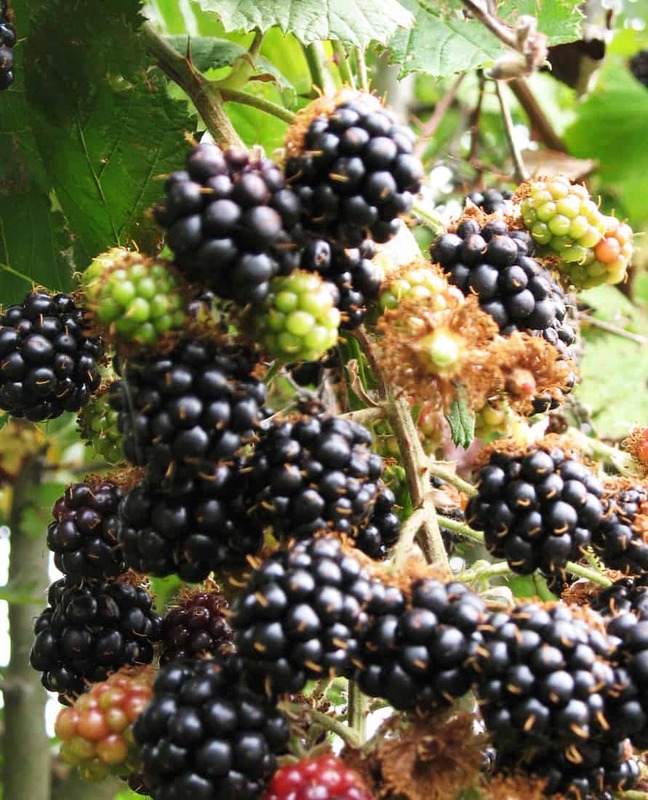 Plump, juicy blackberries free for the taking . And delicious. I generally freeze 6-8 gallons of blackberries every summer. I largely use them for my morning smoothies, but occasionally splurge on a batch of blackberry crisp or other sweet temptation. Last year, I made blackberry liqueur syrup (which I highly recommend if you haven’t tried it). 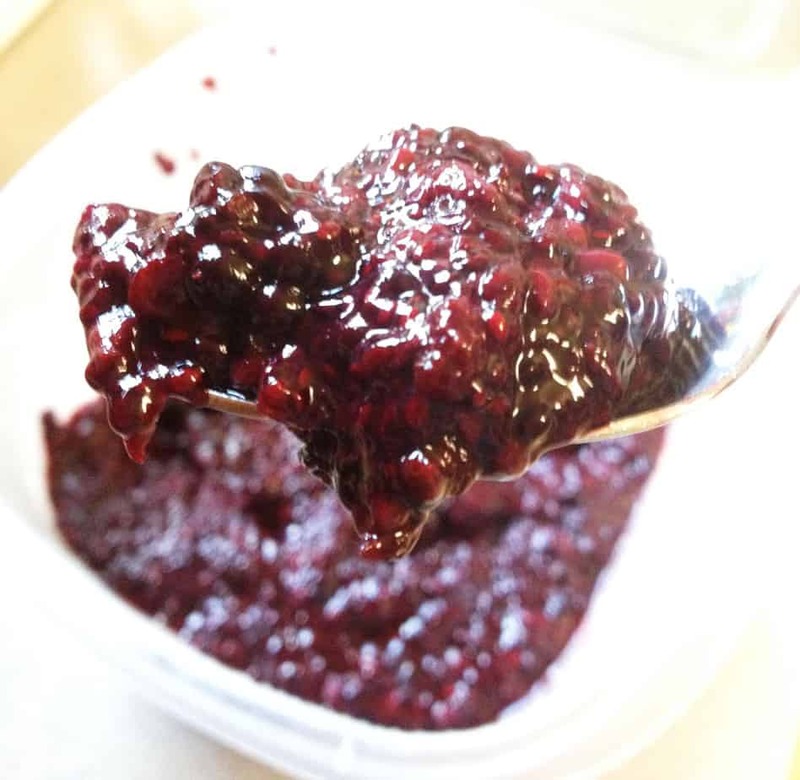 This year, I stumbled upon a blueberry jam recipe using chia seeds and honey instead of pectin and gallons of sugar and decided to try it using blackberries instead of blueberries. This recipe is a win/win on all levels. First, it’s easy, easy to make. 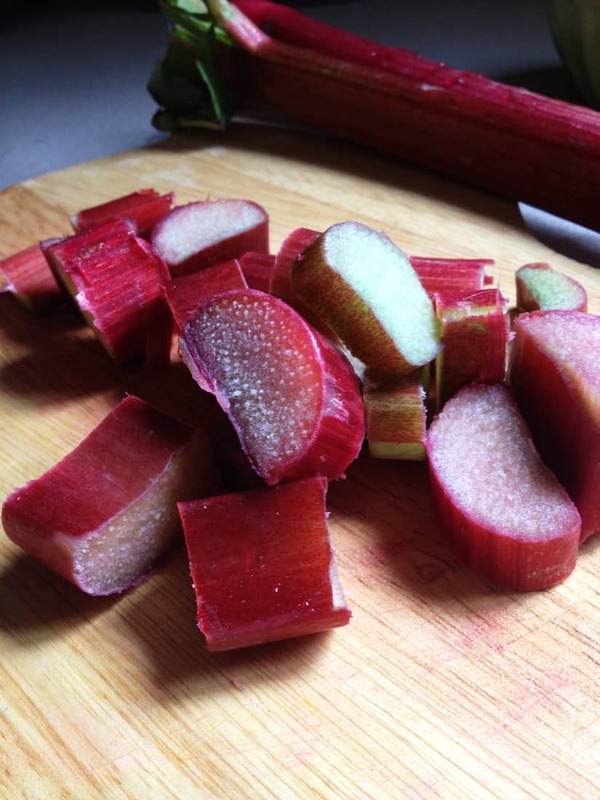 Easier, if you can believe it, than making freezer jam. You don’t even have to be careful about measuring things, you don’t have to time anything. You don’t have to add way too much sugar. The jam is ready for immediate consumption. And, if that’s not enough, the chia seed addition brings huge benefits in the form of 5 grams of omega-3’s , 2 grams of protein and 7 grams of fiber in just a 2 tablespoon serving. Chia seeds have lots of antioxidant and minerals, help reduce blood pressure and inflammation, increase hydration, stamina, and metabolism. They’re super tiny seeds that deliver an over the top punch in health and nutrition. 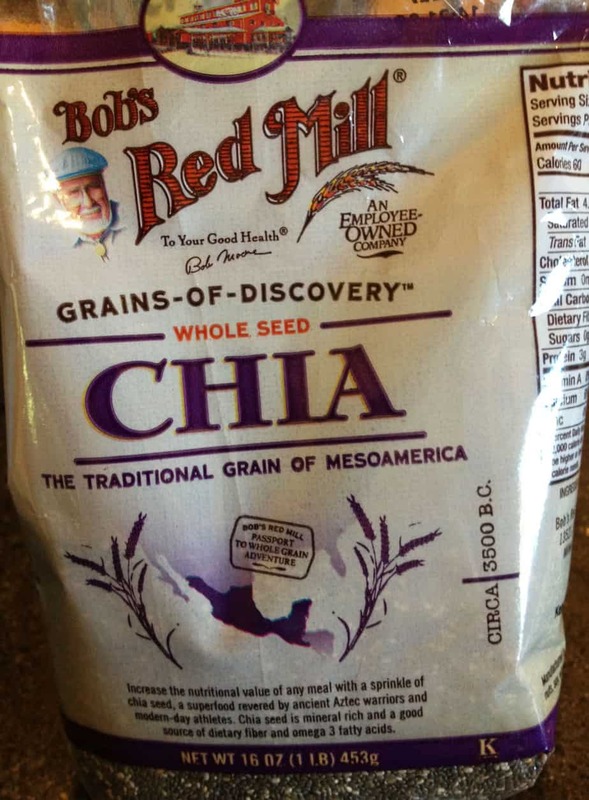 I read the recipe for chia seed jam off the back of Bob’s Red Mill Chia Seed package and then threw it away (accidently) in my clean up routine. However, it’s so easy and so fool proof, I’ve made it several times since then, using my own toss and stir method and it’s turned out wonderfully. I just combined all the above together in a saucepan, used a potato masher to squish the berries a bit, and cooked it on medium high heat, stirring often, until it came to a boil. I let it simmer for a couple of minutes and then it was done. Adjust the sweetening to your tastes. You could even use another sweetener if you have a favorite. I like mine a bit on the tart side, preferring to say closer to the actual berry taste. 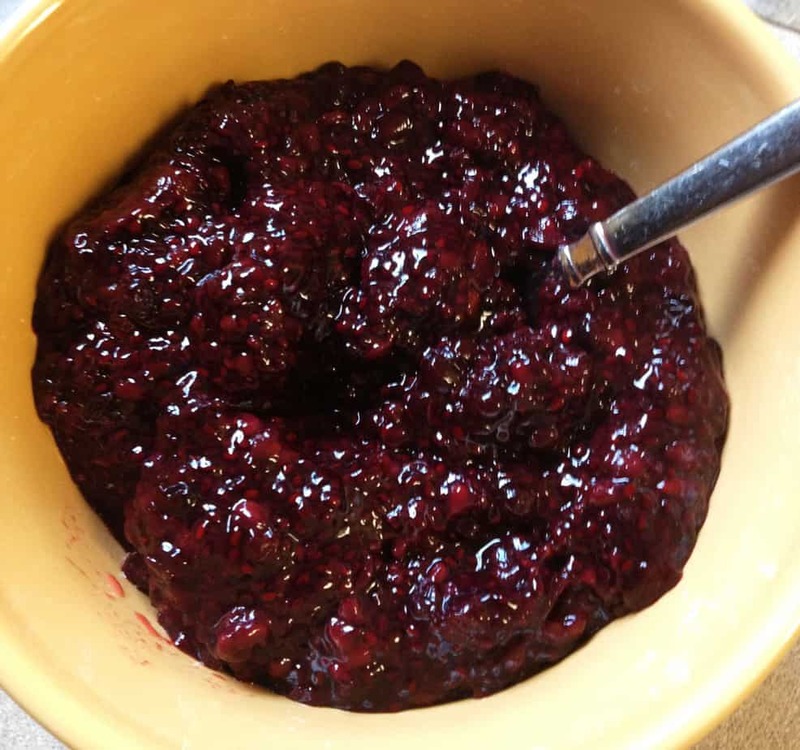 This truly is a no-fail way to make delicious jam. And it’s healthy to boot! Sometimes life is just very good, isn’t it? And very sweet! Enjoy!